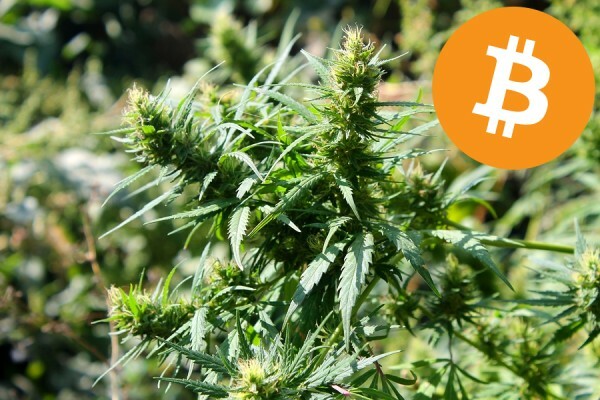 Bitcoin A Solution For The Hemp And Cannabis Industry? Shunned by many banks, vendors in the industrial hemp and medical cannabis industry may find bitcoin a viable payment solution – but it’s not without its issues. In December last year, we mentioned the U.S. hemp and medical cannabis industry was experiencing a cash crisis – what to do with it. Many state-legal vendors were being refused bank accounts and financial services as a result of Federal legislation still deeming the industry illegal. Things haven’t improved that much over the last 12 months; so some are considering bitcoin as an alternative payment method. It’s by no means a perfect solution, but avoids the need of having having to hire armed guards to protect vaults of cash while the banking sector gets its act together. Bitcoin isn’t controlled by any central bank, government, company, authority or individual; instead it relies on a huge network of computers operated by all those involved to validate transactions. No single computer in that network is required; they come and go without a problem as every transaction is recorded in what’s known as the blockchain – which is stored on every computer. Medical cannabis and industrial hemp related bitcoin services have been springing up recently, with services including 1620 Solutions. The company says it simplifies accepting online payments using the cryptocurrency. “Payments made using Bitcoin for your goods or services are automatically “exchanged” into receivership denominated in US dollars, and then transferred from your Bitcoin wallet (mobile or web based options) to our customized physical plastic (not hemp plastic yet!) Visa credit card that can be used anywhere,” states the company. Having takings stored on a piece of plastic is a lot easier to secure than bundles of notes. All transactions can be fully accounted for, for the purposes of bookkeeping and keeping Uncle Sam happy. For dispensary customers, the use of bitcoin provides security for them as well. Because of financial institutions shunning the sector, in-store EFTPOS machines are rare; so many are cash-only businesses. Still, it requires the customer to understand and have bitcoin – and the cryptocurrency is something that many are yet to get their heads around. Bitcoin itself is also under scrutiny by the Feds, who fear the currency is being used to launder money and other nefarious activities coordinatedvia the Darknet. Increased scrutiny is something the legal hemp and cannabis industry simply doesn’t need. Nebraska To Vote Yes To Medical Cannabis In 2020?